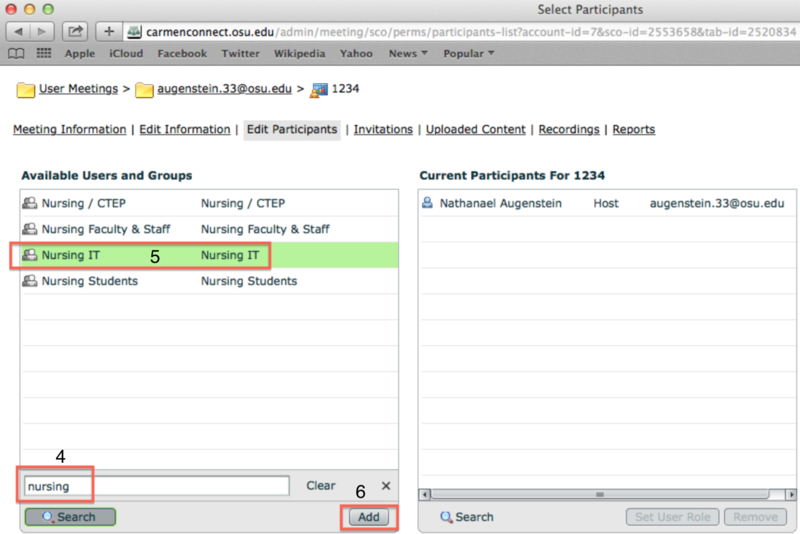 You can add meeting hosts to your CarmenConnect room, if necessary. 2. Select the appropriate meeting room. 3. 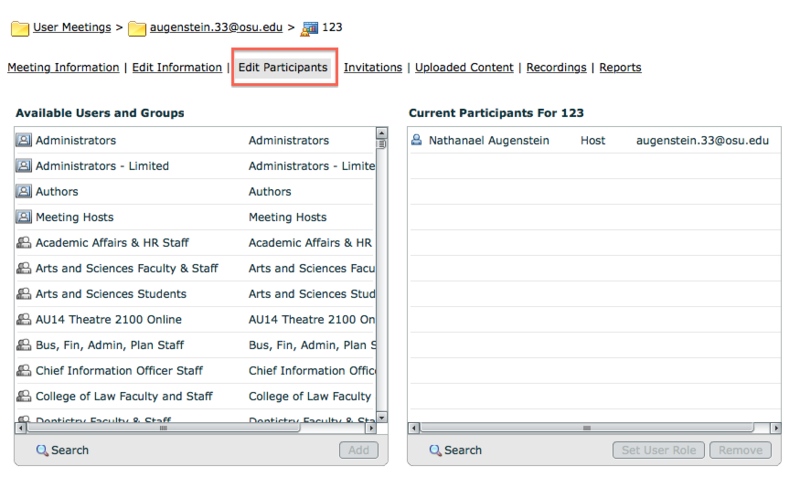 Then click Edit Participants. 4. Now search for the group Nursing IT. 5. Click once on Nursing IT. 7. Now, click once on the Nursing IT group. 8. From Permissions, 9. choose Host. Follow these steps again to add any other users who should be hosts in your CarmenConnect room.